After two days of debate, a proposal to offer paid family and medical leave stalled on general file March 20. LB311, sponsored by Bellevue Sen. Sue Crawford, would provide partial wage replacement for eligible workers to care for themselves or a family member following a serious illness or to care for a new child. 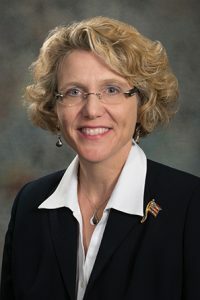 Many Nebraskans have provided or will need to provide care to a loved one at some point in their lives, Crawford said, and for some, it will be their own health that requires extra care. “Paid family and medical leave provides workers with the time and wages they need to deal with some of life’s most special or difficult moments so that we can retain a skilled workforce, healthy children and strong families,” she said. • qualified exigency leave as defined in the bill. A covered individual would be entitled to take leave under the bill beginning Jan. 1, 2022. Available leave would vary between six and 12 weeks during any calendar year dependent on the qualified reason for the leave. A covered individual could not receive family medical leave benefits and unemployment or workers’ compensation benefits at the same time. Benefit amounts would be determined by a covered individual’s yearly earnings as a percentage of Nebraska’s average weekly wage. 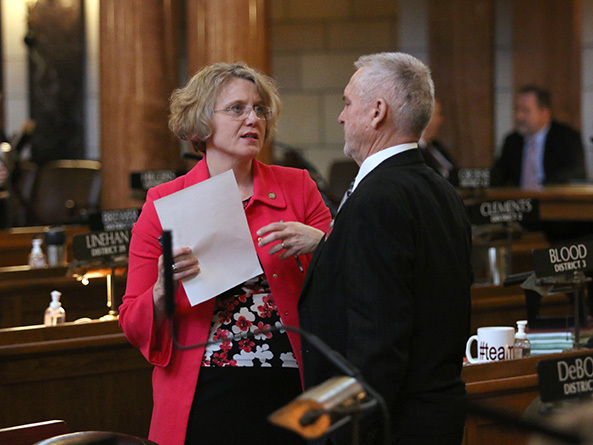 Nebraska has an opportunity to prove that it is a “family first” state, Omaha Sen. Machaela Cavanaugh said in support of LB311. Also supporting the bill was Lincoln Sen. Matt Hansen, who said allowing people paid family and medical leave when necessary ultimately results in a better workforce. “We hear time and time again from individuals who have to work while they’re sick or work while taking care of a family member … that if they just had a few extra days or a few extra weeks to actually get healthy, to get settled … that they could be more productive and [functional] at work,” he said. As a young woman, Peru Sen. Julie Slama said she supports the concept of paid leave, but that the bill as written would “cripple” small businesses in rural districts. She introduced an amendment, which is pending, that would reduce available leave to four to six weeks during a calendar year, dependent on the qualified reason for leave. North Platte Sen. Mike Groene also opposed the bill, saying it was unnecessary and would be detrimental to business. The Legislature moved to the next item on the agenda before voting on LB311 or the pending amendments. Per a practice implemented by Speaker Jim Scheer, the sponsor of a bill that is facing a potential filibuster must demonstrate sufficient support for a cloture motion before the measure will be scheduled for additional debate.